So I'm an avid fan of running all my games using steam and since I use a steam controller when I need a controller for the computer I thought i'd post on how I got it working for others to enjoy. I use Ice to add emulator games in steam so they launch like a normal game. 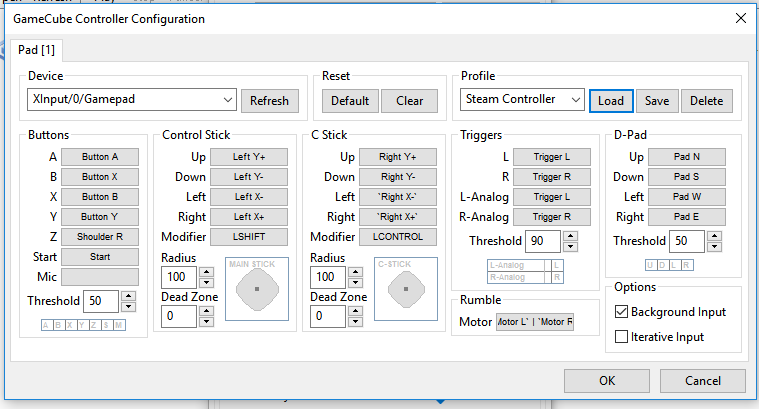 I made a GCPad profile that used the default GamePad template for the steam controller. 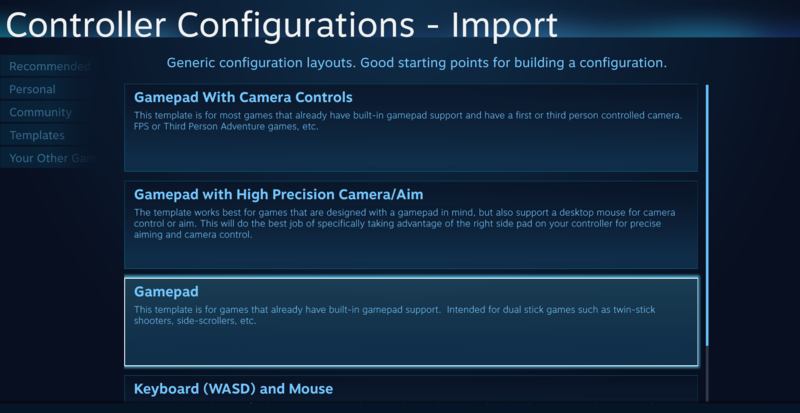 Once you setup Dolphin with the profile you can go into the steam controller templates and select GamePad or use the Steam Profile in the download before. Once you launch the game using Big Picture mode it should work without any issues. Cool, I'm going to try this, but do you know if this allows gyros to work with Metroid Prime. From my side I can add, that I also use ICE plus I have my PC connected to TV via HDMI.